Welcome to Lakshsheela Technologies. 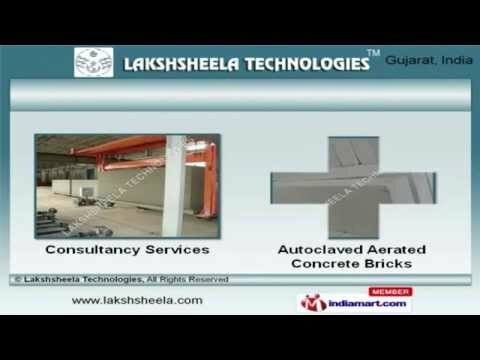 Offer Services for Autoclaved Aerated Concrete Plants. The company was incorporated in 2010 at Surat. Our products are applicable in Residential, Offices, Hospitals and other areas. Streamlined business practices, immense domain expertise and Hassle free monetary transactions are the factors that help us to stay ahead of our competitors. We offer an exclusive range of Autoclaved Aerated Concrete Bricks Plant Services. Our Autoclaved Aerated Concrete Bricks and Consultancy Services are a class apart. We are instrumental in offering a wide array of Tilting Crane, Casting and Rising Services that are extremely reliable. We also provide High Precision Cutting, Unloading and Packaging Services that are superior in performance. We are offering a top notch quality range of Autoclaving Services, Back Tilting and Bed Removal Systems. Along with that we offer AAC Block Plant Manufacturing and Production Line Consultancy Services that are best in the industry amongst others.